At Stevens Creek Toyota, we don’t just talk the talk—we walk the walk, and then some. That’s why drivers from Sunnyvale, Santa Clara, Fremont, Milpitas, and Los Gatos continue to make us their dealership of choice. As soon as you arrive at our dealership, you will be greeted and treated with respect throughout the entire car buying or automotive service process. A member of our trained staff will make every effort to find the exact vehicle to meet your driving needs and desires or determine what type of service needs to be completed. What’s more, you don’t have to worry about our staff pressuring you into unfair and outrageous asking prices. Because you’ve trusted us with your business, we promise not to waste your time with lengthy negotiation sessions. Additionally, as a family-owned and operated business for more than 45 years, we’ve come to know and truly appreciate our neighbors. We treat our customers as family and seek to accommodate them as best we can. Part of this involves communication and comfort, which is why we boast a diverse group of employees who represent many languages and dialects. That way, we can be sure you’re being served exactly as you should. 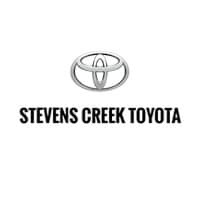 Stevens Creek Toyota stands by our promises, as well as our cars. Come to our convenient location at 4202 Stevens Creek Blvd in San Jose, CA today to find out more! You can always reach out if you have questions before your visit, too. We look forward to working with you!